Childhood development experts recommend that parents spend an hour together every day reading with children. When families make this a regular routine it provides an opportunity to introduce children to the world of spelling at a very early age. Parents that are in the habit of reading with children can naturally transition from pointing out pictures in books, to pointing out the words in the books, and then into pointing out (and reading aloud) the individual letters that make up individual words. When a parent recognizes that a child is grasping the concept of spelling, it is time to introduce an educational toy or tool to assist in the process. Tools should allow children to practice spelling easy words, and then progressively work up to longer/harder words, while providing feedback for failures and successes. 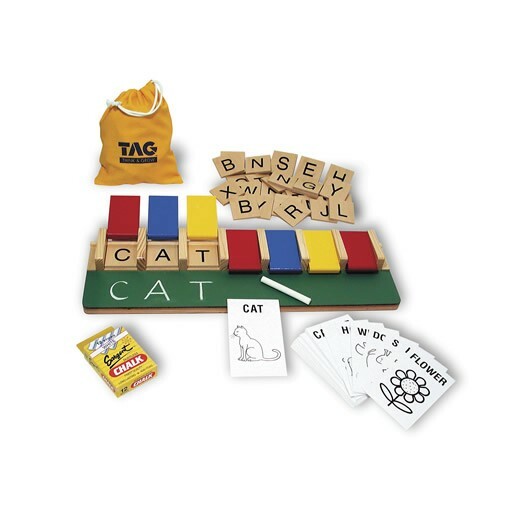 Educational tools like the TAG Toys Spellmaster help make the challenges of spelling more fun and interesting for youngsters. 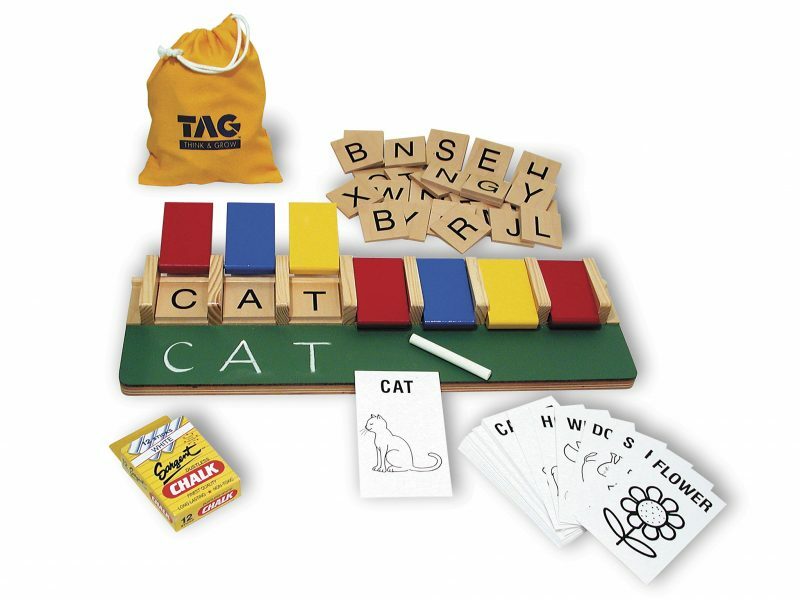 The set consists of a spelling tray with an attached chalkboard, wood tiles with individual letters and spelling picture word cards. Sets like these teach kids to write out words and commit spelling patterns to memory. Words can then be checked by lifting the doors and matching the letter tiles to the handwritten word. Join the conversation by asking TAG Toys a question on Facebook. This entry was posted in Childhood, Childhood Development, Children, Education, Kids, Pre School Kids, Toddlers, Toys, Uncategorized and tagged christmas gift, educational gifts, learn to spell, learning, reading, spell, spelling skills.